The Warehouse Shop is at the company’s central distribution depot, and is therefore backed up by massive stocks from both the packing and bonded warehouses. There are often some good bargain bin-ends to be had here too! Browse the shelves in relaxed surroundings or seek the help of Matthew Bevan. Croeso i Tanners Trallwng! You will find the Warehouse Shop conveniently situated just off the A483 Welshpool bypass/Newtown Road. From the roundabout by the Old Station, loop up over the bypass. Take the first right into Severn Farm Enterprise Park and then the first left. Customer parking is in front of the shop. For detailed directions to our Welshpool Warehouse Shop, enter your starting postcode below. 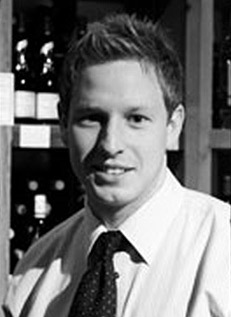 After completing his degree from the University of Newcastle-upon-Tyne, Matthew joined Tanners Wines in 2008 and has furthered his knowledge of wine by gaining a Merit in Advanced WSET certificate. Matthew’s favourite combinations contain red meats and full-bodied robust reds but he also specialises in beers and has a passion for premium craft beers. Amongst other places, Matthew has travelled through the wine regions of Portugal, Italy, Spain and Austria which he views as highly as anywhere you can visit in the world. Next on his wishlist is a trip to Australia where he would love to combine a wine tasting tour alongside an England Ashes’ cricket tour. Outside of work, Matthew is a keen sportsman and plays regularly for local sports clubs in the area: football and cricket feature heavily dependent on the season.